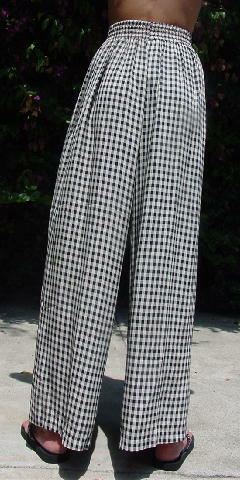 These 100% rayon wide leg pants were made in the USA and purchased in 1984. 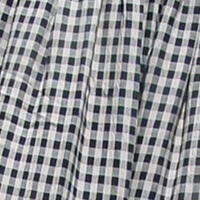 There is a black and white checkered pattern. They're from a former Chicago model. 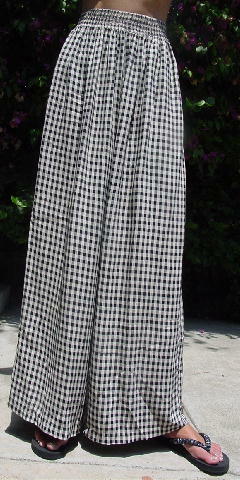 leg bottom opening side to side 15"